Every few minutes or so I would ‘down tools’ and take a photo of how far I had progressed in completing this little embroidery. In all honesty, I have no idea how long this actually took me, as it was one of those projects that I kept coming back to over a period of three months. 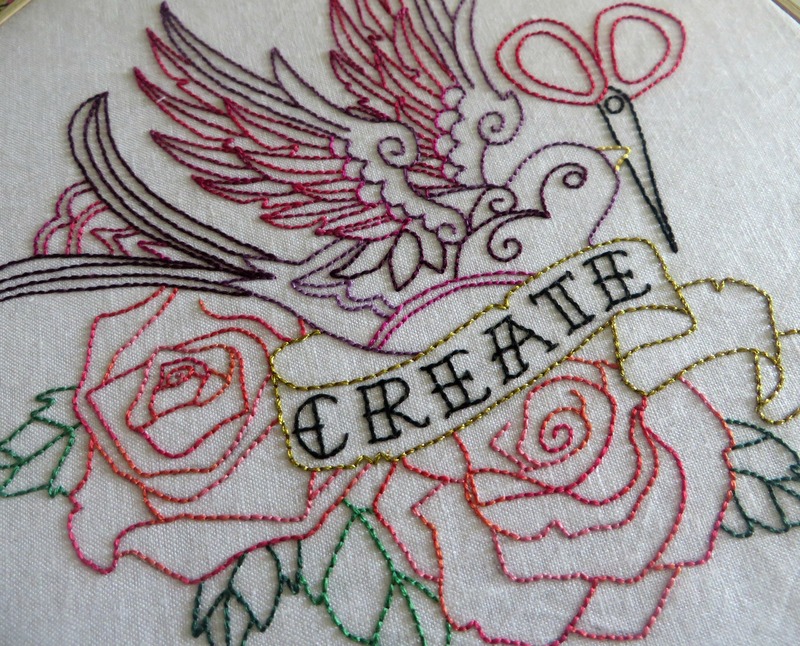 But know this… While I was making this embroidery I watched all four season of Downton Abbey (love that show!!) as well as childhood movies like Hook! (one of my favourite Robin Williams movies) and Peter Pan (oh, to never grow up!). I’ve also made two other Stop-Motion Embroidery videos. Here are the links if you wish to see them as well! Hi Amanda, could you tell me what stitch you used to make the flower in your stop motion embroidery video. Modern Quilter & Fabric Lover. Blogger & YouTube Creator. Florist & Foodie. May 25th: Favourite Sewing Memes!